What documentary evidence and physical evidence proves the existence of the Operation Reinhard death camps? Today, there is nothing physically left of Treblinka, Belzec, and Sobibor, aside from sandy hills and a memorial at each site. However, there are photographs, railroad transport lists, other documents, aerial reconnaissance photographs, and evidence from archeological studies. These sources definitively prove that the death camps of Treblinka, Belzec, and Sobibor existed. What do some Holocaust deniers specifically say about the Operation Reinhard death camps? It is true that today there is nothing physically left of Treblinka, Belzec, and Sobibor, where some 1,400,000 Jews were murdered. By mid-1943, the bodies in the mass graves had been exhumed, burned, and the ashes reburied. The Nazis tore down the camp buildings then they were finished. The camps today are hilly, sandy sites whose most prominent features are the memorials to the murdered Jews. However, it is not true that there is no documentary or physical evidence about these camps, as Holocaust deniers claim. Why are there so few documents available on Operation Reinhard? Nevertheless, some documents escaped destruction. Photographs taken by Kurt Franz, the last commandant of Treblinka, which show the gas chamber buildings, excavators, and mass graves. 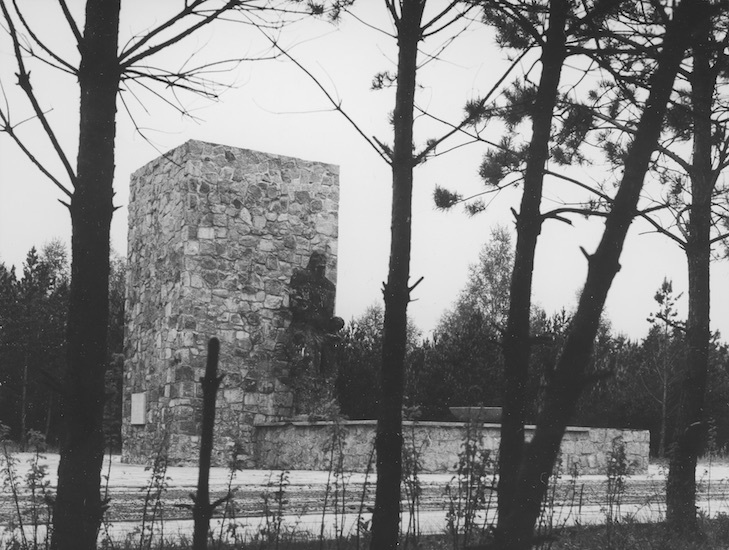 There are also photographs from Belzec while it was operational, although they do not show the death camp area. Railroad transport lists, which detail Jewish transports sent to Treblinka, Belzec, and Sobibor. Documents relating to the acquisition and use of heavy excavating equipment. The Nazis and their collaborators used this equipment for digging mass graves and exhuming bodies for cremation. There are also documents detailing the possessions that the Nazis stole from their victims. Aerial reconnaissance photographs of Treblinka, Belzec, and Sobibor, which were taken after the Nazis tore the camps down. In the case of Treblinka, the photographs show traces of the gas chamber buildings and other camp buildings. These arial photos correlate with the photographs taken by Franz and are corroborated by survivor eyewitness testimony. Researchers have conducted archeological studies and forensic examinations at all three sites. The investigations at Sobibor and Treblinka are still ongoing. Each piece of evidence is addressed by other Debunking Denial pages in the Operation Reinhard section. Ditlieb Felderer, “Auschwitz Notebook: Certain Impossibilities of the ‘Gerstein Statement,’” Journal of Historical Review, Volume 1(1), Spring 1980 at http://www.ihr.org/jhr/v01/v01p-69_Felderer.html. Ditlieb Felderer, “Auschwitz Notebook: Certain Impossibilities of the ‘Gerstein Statement,’”. Stephen Potyondi, “Ziel Treblinka/”Final Destination Treblinka” citing Odilo Globocnik, “Top Secret” memo, 5 January 1944, Nuremberg Document NO-064 at https://archive.org/stream/ZielTreblinkafinalDestinationTreblinka/MicrosoftWord-Document1_djvu.txt.